An extremely competent sports-focused Houston dietitian generally recommends that her clients consume two-grams of an easily digested form of carbohydrate per kilogram of body weight two-hours prior to the start of the marathon. For myself this translates to ~150 grams, or a 600 Calorie breakfast. 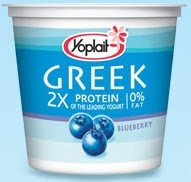 Since on race day I scrupulously avoid breakfasts with large amounts of fiber, as a dietetic homage to ancient Pheidippides I will have Greek Yogurt for breakfast. I love its flavor and its addition of protein versus conventional yogurt helps to better stabilize blood sugar thereby allowing the body to better unlock its internal stores of glycogen and energy. 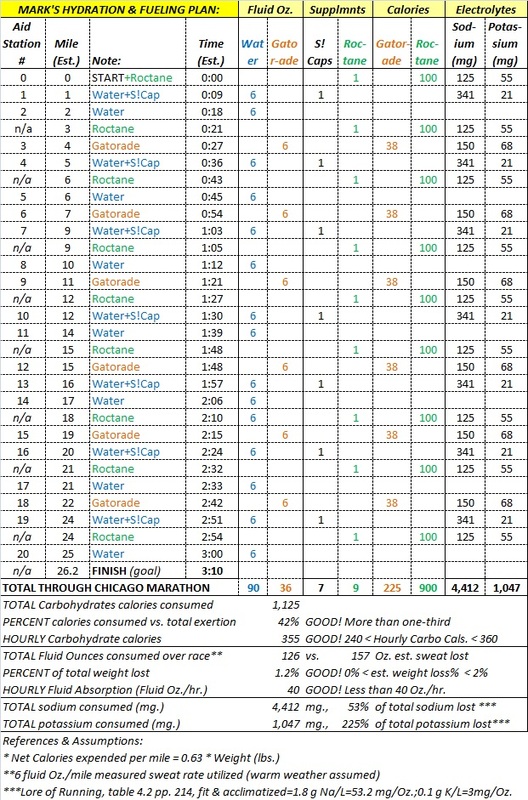 Since the dietitian also recommends drinking plenty of sports drink the day prior to the event (so-as to be fully hydrated while increasing stores of electrolytes) I am planning to carry a bottle of Gatorade while wandering the famous Chicago Marathon Expo. Per sports dietitian Nancy Clark's recent article we can ingest at most 60 grams (i.e. 240 Calories) of carbohydrates per hour if they are solely in the form of glucose, fructose, or any other specific carbohydrate type. However, we can ingest up to 90 grams (i.e. 360 Calories) per hour if the carbohydrates are in mixed form. As a related January 2011 follow-up to this post, see this excellent Sweat Science post which provides an interesting partial answer the important question of just how much variability exists in runners' carbohydrate ingestion rate. As is noted, individual experimentation during training is key since there is no generically applicable answer, and studies point to some runners' mixed-carbohydrate ingestion rate being significantly greater than the cited 90-100 grams per hour. 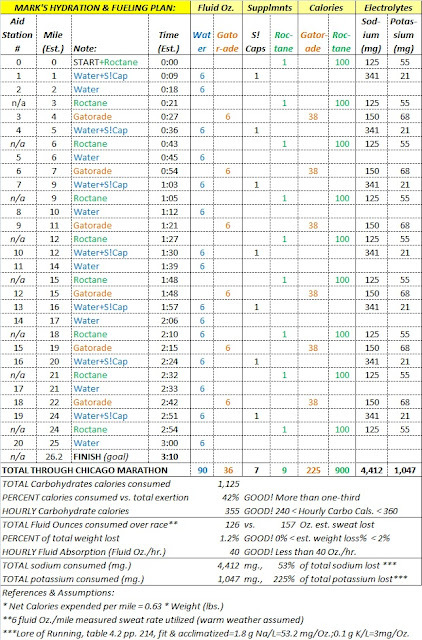 Conversely, it appears that most studies evaluation of runners carbohydrate ingestion rates beyond these amounts results in them not absorbing these massive ingested amounts, thereby raising the unsettling risk of adverse stomach or digestion issues. Tim Noakes' Lore of Running provides an excellent reference for all serious runners. Via consuming carbohydrates while running we effectively supplement the liver's and the muscle tissues' limited supplies of glucosamine, thereby eliminating or delaying the dreaded 'wall'. Both Clark and Noakes agree upon the criticality, however, of not exceeding the body's maximum hourly carbohydrate consumption capacity. In the most recent Marathon Talk (a great podcast!) interview ultra-marathon star Scott Jurek quotes the more conservative 60 grams per hour in his own fueling plan. Of particular interest, like many ultra runners - including Dean Karnazes - he adds protein and fat during his ultra-runs. Though I stick entirely with carbohydrates on my marathon and shorter distance events I have successfully added protein and fat on my three 50Ks, and similarly find that the slower pace eases the consumption of nutritionally more diverse and enjoyable solid foods. I flag this issue since slower (~5-hour plus) marathon runners may similarly benefit by following an ultra-oriented fueling plan. 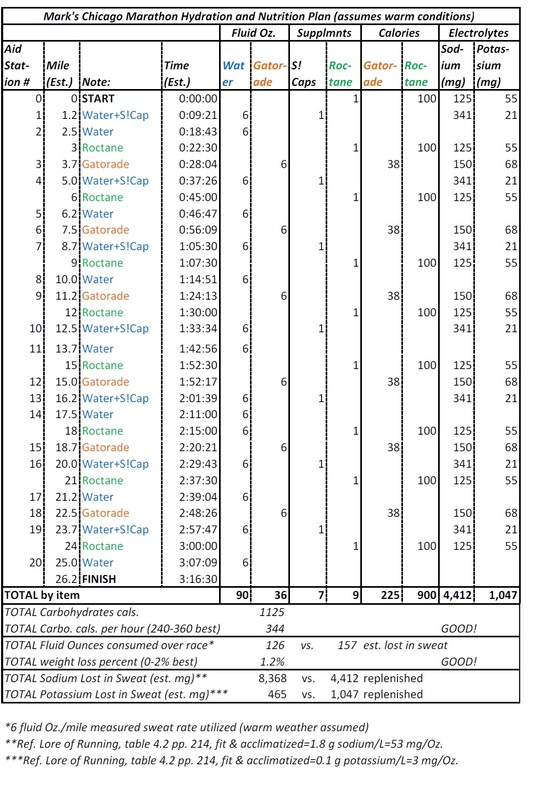 It is very important to know what type of fluid is being served on the runner's forthcoming marathon course and how many fluid aid stations that there will be! For example, the Chicago Marathon will provide Gatorade Endurance at twenty aid stations. Via knowing one's sweat rate, and targeting replacing the majority, but not all of one's fluid losses, the runner can set-up a hydration plan to assure that they drink adequately - but not to excess. As a related February 2011 follow-up to this post see an interesting Sports Science post which summarizes a related study in the British Journal of Sports Medicine indicating that the fastest marathoners tend to lose the largest percentage of their initial body weight. This runs against the general wisdom that performance degrades after one loses 2% of their body weight. Nevertheless, as I experience significant increased thirst above this level I've reflected it within my personal hydration plan. All runners should experiment during their long training runs with various fueling and hydration strategies, so that on the day of the event they will be non-stressed and confident. Based on Noakes' Lore of Running (table 4.2, pp. 214), even fit and heat acclimatized individuals lose a significant amount of electrolytes through their sweat. Presuming Chicago provides typical mid-October weather, with my relatively high sweat rate of ~6 Oz. per mile this results in a large loss of sodium and potassium - even taking into account the electrolytic content of Gatorade and Roctane. Accordingly, as in past successful marathons I will additionally supplement with an easy to tolerate buffered electrolyte capsule, the Succeed S!Cap. To acknowledge the ongoing debate there's concern amongst some as to whether a runner should follow a prescribed hydration strategy such as I outline, or simply to drink to their thirst. A recent Runner's World article outlines well both the pro's and con's, and points out the complicating variable of taking an NSAID on a marathon - which I never do (see also this link). The best article on the critical subject of hydration addresses key myths and facts, and can be found in this recent Running Times article. 13. Alternatively, Chris of http://bqordie.blogspot.com/ fame recommended a far simpler fueling solution, which he's had good luck with. Carry two, and hold one EFS Liquid Shot container by 1st Endurance (see http://www.firstendurance.com/efs-liquid-shot.html). I haven't tried it as yet, but I'm tempted to as it's far simpler than the above approach (consume one container every nine miles, sipping along the way), and achieves nearly the same level of fueling and electrolytic levels. Hi Mark, great post. Very interesting. 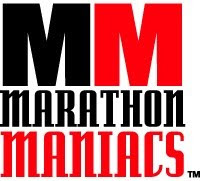 I had never heard of Marathon Talk podcast, thanks for the tip. I totally agree with the mixed carb theory too. Also, could not agree more with #7. You know what I always find weird though, it's nearly impossible to replicate a marathon race condition while training. So, I can test taste, G.I., consistency, etc. I can't really tell how it "works" until I really need it, which is race day. Hi, Chris... Thanks! You're right, it's impossible to perfectly replicate a race through training (for example on one's long training run one is probably 30-seconds per mile or slower than one's race pace.) Nevertheless, if a runner doesn't have a handle on their sweat rate, or has made a change in their hydration/fueling plan, there's really no option but to test it during their training runs. Eek! Now that's a microscale! I'm sure it'll be great for you, you seem to know what you need, though man, that's a lot of detail...my head hurts. :) Happy training! I've gotta bone up on this again.